One day I was fantasy shopping in one of my favorite stores, ZGallerie, when I noticed a poster print. It looked like a vintage poster that was framed. Although I loved it, I was really looking for an oversized piece to hang on a wall in my living room. The print I saw was approximately 24″ x 18″. I made note of the name of the artist on the print and came home to scour the internet to find it in a much larger size. I have actually been surprised to find art pieces at stores like Target, Walmart & Ikea. They actually have a large selection (even more online) of on-trend art pieces. The next time you are in HomeGoods, Tuesday Morning or TJ Maxx check out their selection. They have pieces that would fit in just about any decor and at very reasonable prices. I found this at the Goodwill! However, one of my favorite pieces on my art wall is a print that I found at the Goodwill. Now it’s not a fine work of art by any means, but it has the colors I decorate with and complements the design of my living room. Create Art and a Memory! I wouldn’t say that I created a masterpiece, but I had the best time playing in paint! In the end, not only did I have an art piece to take home and mount, I had a memory to go along with it. Check for these types of events in your community. The local community college might have such art sessions that you can attend very inexpensively. I promise you will have a blast! No time for an art session? No problem! Check out this quick tutorial to make an abstract piece that you can make and hang in an afternoon. We are so lucky because nowadays you can have your own personal pictures turned into a custom art pieces. Choose a picture from your vacation or even a selfie you love, take it to Allposters, Costco, Shutterfly. Have them create a custom wall decor for you. You won’t see that in anyone else home. 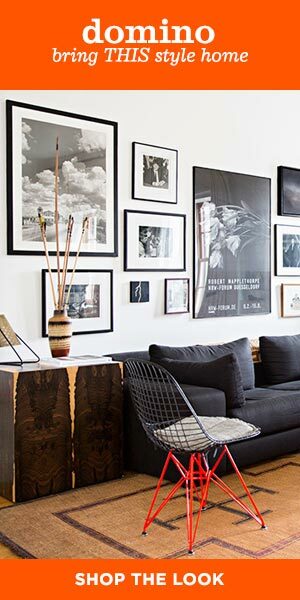 There are 5 budget friendly ways to get art up on those blank walls. But did I miss any? Do you have a favorite source for affordable artwork? I would love to know your secret. Leave me a comment below and tell me about it.